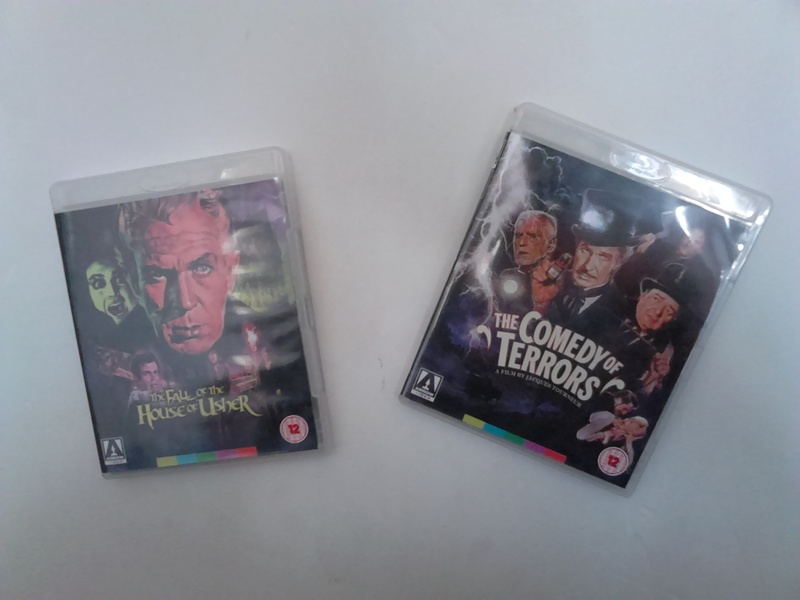 Finally got copies of THE FALL OF THE HOUSE OF USHER and THE COMEDY OF TERRORS, from Arrow Video. Both feature video essays written by me and edited by Timo Langer and are available from all good UK outlets, plus Amazon. COMEDY OF TERRORS is dual-format. To spare you the usual sight of our chipped floorboards, I performed a Cocteauesque trick and taped the movies to the living room wall for the above photo. So now you can enjoy our filthy, greasy wall. USHER was an interesting one — my first video essay, Through the Pale Door. Since so much of the film is prowling around empty corridors, we created a totally uninhabited version of the movie, and also joined together all the matte paintings to tell the story in exteriors alone. And also cut together all the shots of paintings of Usher’s depraved ancestors. I like these little experiments and hope to do more like that when I can find a suitable project. COMEDY OF TERRORS has more faces and talk, so for Whispering in Distant Chambers we did a lot of cutting in lines of dialogue to point up or undercut what the voice-over is saying. And I got Fiona to narrate this one as she has a better voice. It’s also a whistle-stop tour of Jacques Tourneur’s entire life and career, in parallel with his dad’s. 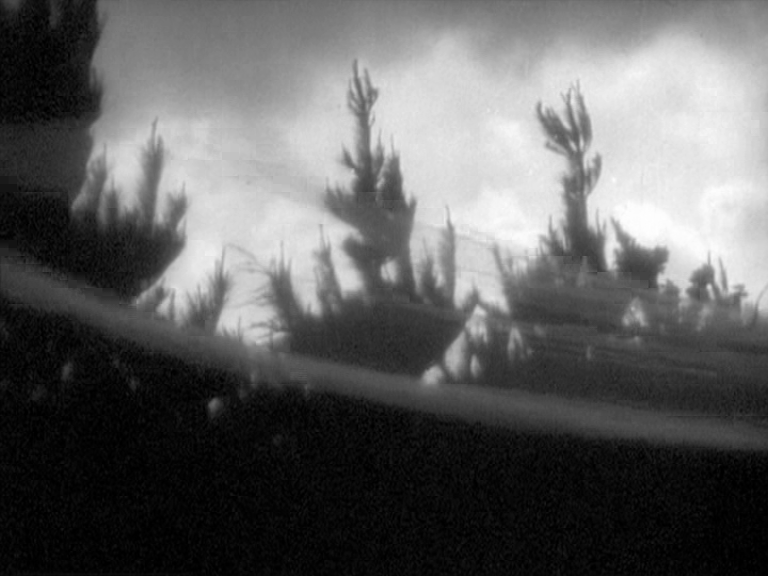 Sadly, my plan to rope in Tourneur experts Chris Fujiwara, Christine Leteux and Geoffrey O’Brien came to naught, due to time constraints, but the film yielded some surprisingly cool stuff, despite its well-documented weaknesses, and Tourneur is always great to explore. Arrow allowed me to include clips from his earlier work via “fair use” so buyers can catch a glimpse of his first, super-rare movie, TOTO (from Pathe-Natan) and follow his style from CAT PEOPLE to WARLORDS OF THE DEEP. I contributed a little bit to a new article at The Chiseler, masterminded by Daniel Riccuito and also starring Jennifer Matsui. It deals with such movies as SECONDS and CARNIVAL OF SOULS and Epstein’s THE FALL OF THE HOUSE OF USHER, from which I have selected a festive image (above).